Coppell High School shooting guard and point guard senior Mary Luckett takes a shot from the free throw line. The Coppell varsity girls basketball team played against John Paul II on Tuesday winning the game 64-49. 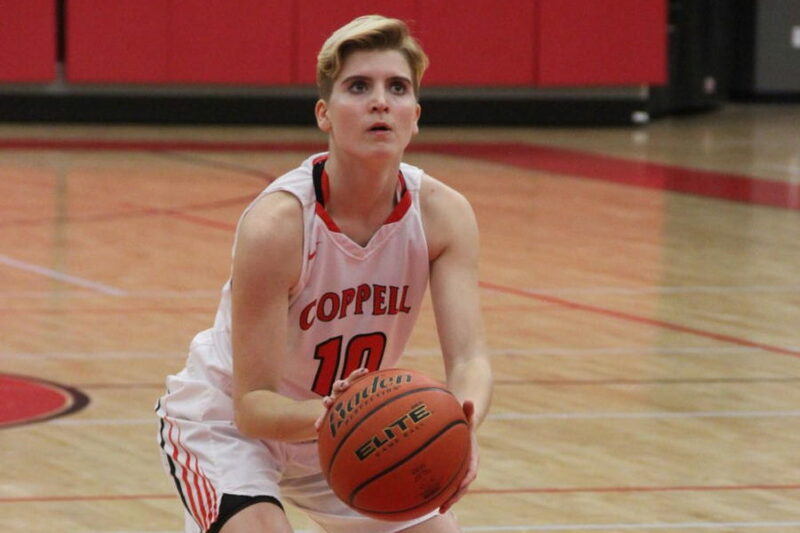 The Coppell Cowgirls defeated the John Paul II Lady Cardinals, 63-49, at the CHS Arena last night. 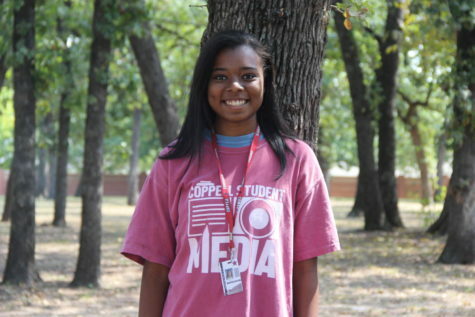 Coppell sophomore guard Jordan Nelson led the Cowgirls, who built a 31-19 halftime lead, with 12 points. The Cowgirls (2-4) benefited from a productive shooting night. On the defensive end, the Lady Cardinals struggled to score because the Cowgirls were able to close the passing lanes..
“The girls were able to improve on defense this week, from the little things we practiced, leading up to tonight’s game,” Davis said. The Cowgirls will take on the Grapevine Lady Mustangs on Tuesday at 6.30 p.m. in the CHS Arena.